What started as a far-fetched vision in the mind of serial entrepreneur Elon Musk has quickly evolved into a company determined to develop the next breakthrough in transportation. Hyperloop Transportation Technologies (HTT) recently announced it now has more than 400 employees working on the full-scale Hyperloop. The company also welcomed Oerlikon Leybold Vacuum, AECOM and Hodgetts + Fung Architects to the project, joining top talent it has attracted from companies like Boeing Airbus and NASA in addition to those from SpaceX and Tesla. Andrew Liu, vice president of new ventures at AECOM, said HTT’s approach to addressing transportation challenges is consistent with its focus on delivering innovative solutions that positively impact the communities they serve. 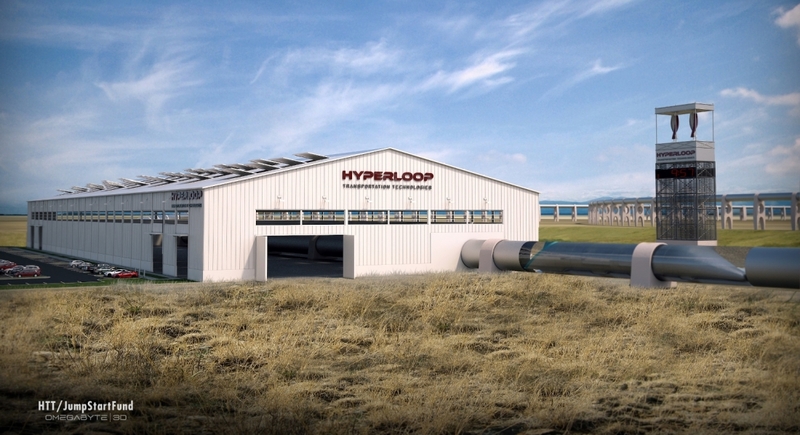 Craig Hodgetts of Hodgetts + Fung Architects said working with HTT to help make the Hyperloop a reality is an inspiring journey and that he, along with many others, believe it will be a reality before this century begins its full third decade. Elon Musk first revealed plans for his city-to-city transport system in the summer of 2013. The Hyperloop, which will use steel tubes with aluminum pods to transport passengers and even vehicles, will travel at up to 800 miles per hour; that's roughly 300 mph faster than a typical commercial passenger jet. At that rate, it’d reduce the travel time from Los Angeles to San Francisco – a six hour commute by automobile – down to just 30 minutes. The first full-scale test track is expected to open next year in California.